This example uses TIGER Census data, where the data contains files divided up by county (in fact there are over 3200 counties, a very large dataset indeed). 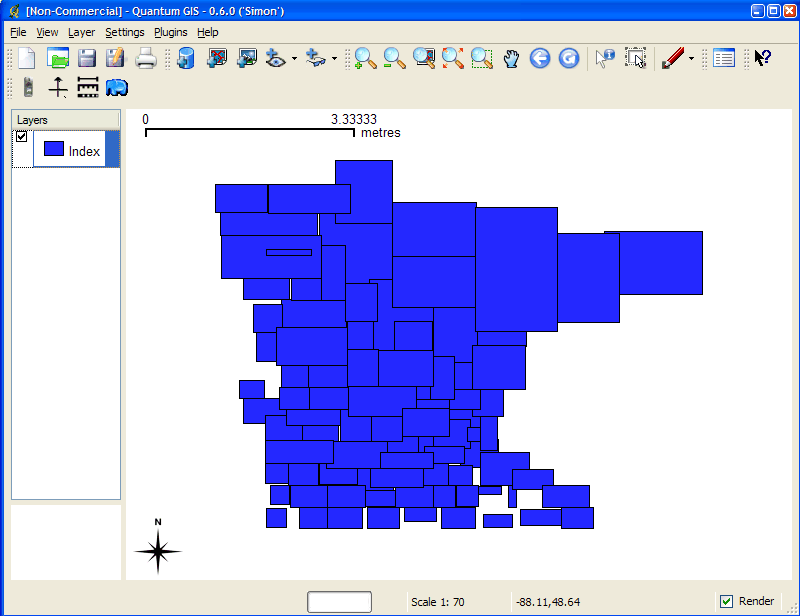 In this example we will show how to display all lakes for the state of Minnesota. (note that here we have already converted the TIGER data into Shape format, but you could keep the data in TIGER format and use the ogrtindex utility instead) The TIGER Census data for Minnesota is made up of 87 different counties, each containing its own lakes file (‚wp.shp‘). A new file named ‚index.shp‘ is created. This is the index file with the MBRs of all ‚wp.shp‘ files for the entire state, as shown in Figure1. 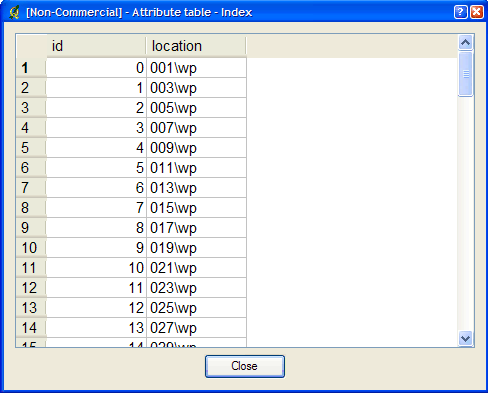 The attribute table of this file contains a field named ‚LOCATION‘, that contains the path to each ‚wp.shp file‘, as shown in Figure2.